Cloudless Chiropractic (former Andrew Harvey Chiropractic) is located in the east side of central Amsterdam on the Nieuwe Achtergracht integrated with the Delight Yoga Studio’s. It shares a focus with Delight Yoga in offering a service that assists people to reach a more optimal balance and function in their health and life. Founded in 2015 in the city of Amsterdam by Australian chiropractor Andrew Harvey and his Dutch wife Laura Harvey. Together they are committed to providing optimal health & wellbeing care in family chiropractic services to the greater Amsterdam community. Andrew is a highly experienced chiropractor with 12 years experience working in both Australia and Holland. Andrew has been working as a chiropractor in Amsterdam now for 4 years. Passionate about his work, Andrew knows first-hand the effectiveness of the chiropractic approach. Suffering a neck injury whilst surfing as a university student, it was chiropractic therapies that helped Andrew heal and recover to optimal function. Impressed by the result, Andrew then followed on from studying sports physiology to a chiropractic degree. Almost two decades later, Andrew now holds a degree in Applied Science – Sports Physiology and a degree in Applied Clinical Science – Chiropractic. He’s a qualified & registered member of the ICPA, ICA and the Dutch national SNRC. Andrew currently lives with his Dutch partner Laura and their child in Amsterdam and loves everything about this unique, vibrant and progressive city. 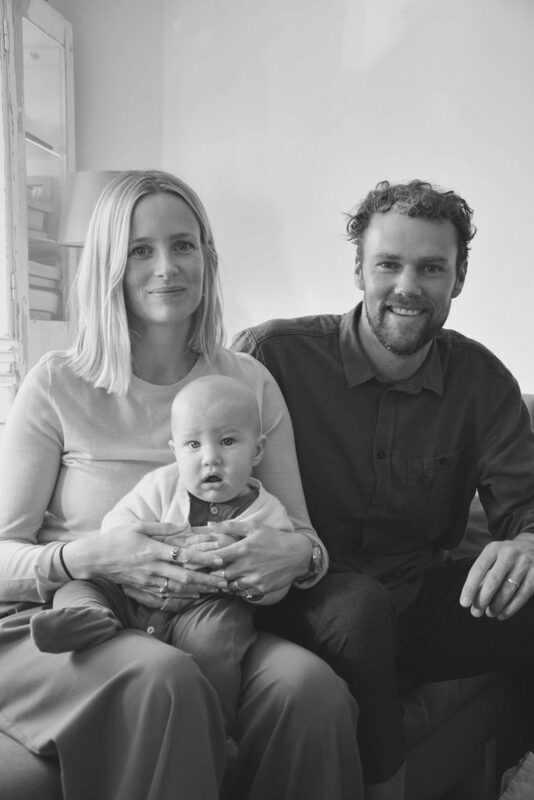 As a keen surfer, athlete and adventurer, Andrew also has a deep connection to leading a healthy, balanced and active life. Understanding the importance of balance in health and in life in general, is why he is so passionate about helping his clients achieve a optimal state of wellness through a healthy functioning spine and nervous system. “Balance in all things in life, makes sense to me.” Andrew Harvey (Chiropractor). Laura is a keen entrepreneur and innovator with a wealth of experience in business management, marketing, fashion design and e-commerce. Born in Holland, Laura understands the Dutch way of life inside out. Laura studied Concept and Brands at AMFI in Amsterdam and continued her career working in Milan (Italy) and Amsterdam. She had her own internationally successful business in children’s fashion for five years, before she started working with Cloudless Chiropractic. Married to Andrew, Laura now runs the marketing, administrative and client front desk of Cloudless Chiropractic. As a fanatic runner and a creative mind, Laura is also passionate about leading a balanced, active and healthy life. Laura loves making feel clients at home while managing the business side of the practice. “To see how chiropractic can help people better adapt to stress and empower them by showing them the self-healing power of their own body, is one of the things I enjoy most about my work at Cloudless Chiropractic. It makes me feel a part of something bigger.” Laura Harvey Canté.